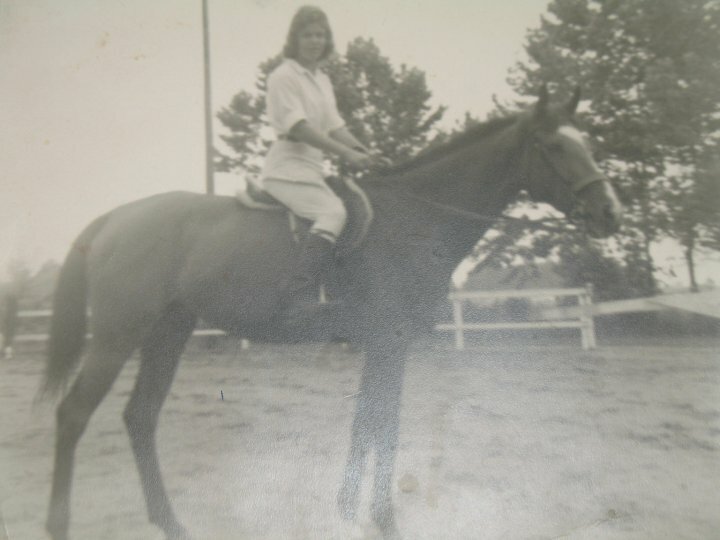 The old black and white photo of Dawn Elisabeth Engen and her first ex-racehorse Beaucoup is faded and just a little out of focus. The mother of three grown children and grandmother of four, was just 14 when it was snapped after a pleasure class. That day, and so many others spent winning blue ribbons while bounding around on her beloved mare, came into the sharp focus of memory about six years ago. She glimpsed a new photograph of a different horse. A volunteer with Thoroughbred retraining organization New Vocations knew Engen was looking for a horse. She showed her a picture of a big, blood bay gelding named Rambler. Instantly, memories of her first horse came flooding back because the two looked so similar. She got Rambler on Oct. 15, 2004, climbed in the saddle two weeks later, and has been pleasure riding nearly everyday. 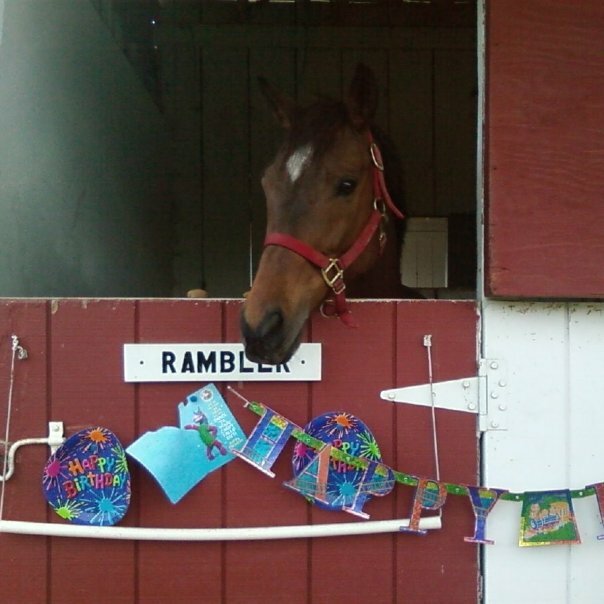 Rambler had 45 starts as a racehorse before he was retired after fusing an ankle. Since coming into Engen’s care Rambler has grown a tad spoiled. He gets a birthday party every year, has learned to give kisses for treats, and gets so much love that other horse people, and her husband, tease that Rambler gets all the attention. A horse lover from a young age, Engen says for her, there is no other breed. She grew up riding Thoroughbreds and although she has tried other breeds, she says there’s just something about that Thoroughbred connection. AWE! VERY NICE! Bingo send’s Rambler KISSES! I agree with you I own the great ,great,granddaughter of War Admiral and ManO’War.and they are great stallions and racer of their time. 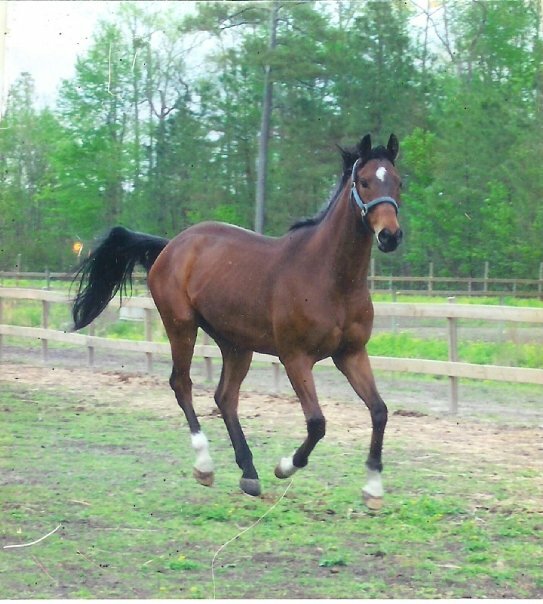 Standardbreds are great all around horses and I also own a standardbred age 17 years old and he is a ex harness racer and I also own a 6 year old pinto mare and she is a odd ball. my Tb is 16.2, My Standardbred is 15.2 and my pinto mare is 14.2 .